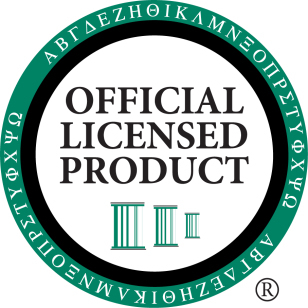 Greek Licensing protects our trademark and provides you with high-quality products for your personal or Chapter needs. Looking for new Recruitment shirts, Chapter shirts or a gift for your Big/Little? Check out this list of approved vendors! We are here to answer all of your Greek licensing questions! We want you to shop for everything Phi Sigma Pi with one of our licensed vendors. Here's what you should know. Why do you ask that we only shop with licensed vendors? Phi Sigma Pi’s reputation depends on the use of our name and image, which we exclusively own. In order to protect our reputation, we have implemented a program and partnership with Affinity Consultants to ensure the proper use of our insignia. What all falls under "name and image?" Phi Sigma Pi's Greek letters (ΦΣΠ), our Shield, Official pins, the logos and the name Phi Sigma Pi National Honor Fraternity, including abbreviated versions like Phi Sigma Pi, Phi Sig or PSP. I found an unlicensed vendor using Phi Sigma Pi's name. What should I do? If you come across an unlicensed vendor, please report them to our representative Melissa Jean-Baptiste. She can be reached at Melissa@affinity-consultants.com. Get licensed at greeklicensing.com/licensing in 3 steps. I want to buy a piece of Phi Sigma Pi jewelry. Please shop on the Herff Jones website where you can browse all of the available Phi Sigma Pi jewelry. I am trying to order Initiate Pins. Please visit our Fraternity jeweler, Herff Jones. Our goal is to only license vendors producing quality Phi Sigma Pi merchandise and providing excellent customer service. When you purchase products from licensed vendors, you are supporting Phi Sigma Pi. We thank you for your cooperation in advance!